Our proven product line has been installed on over 100 million square feet of concrete around the globe since 1991. 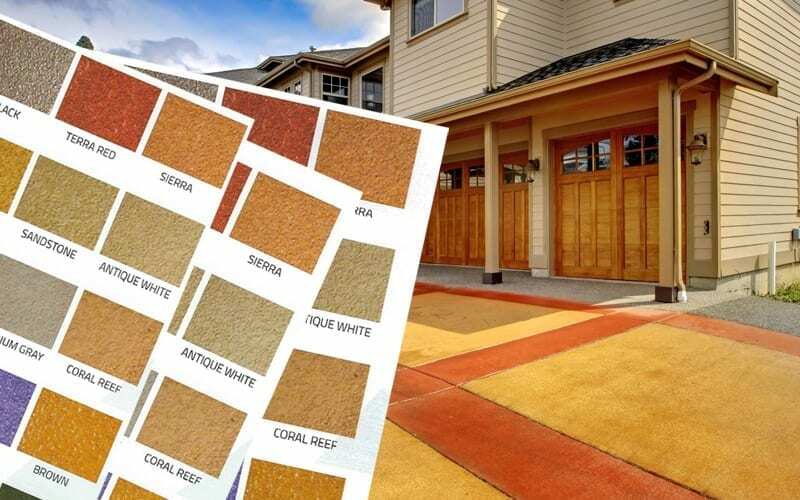 The Acrylistain System comes in a number of colors and styles to give you a look that is all your own. 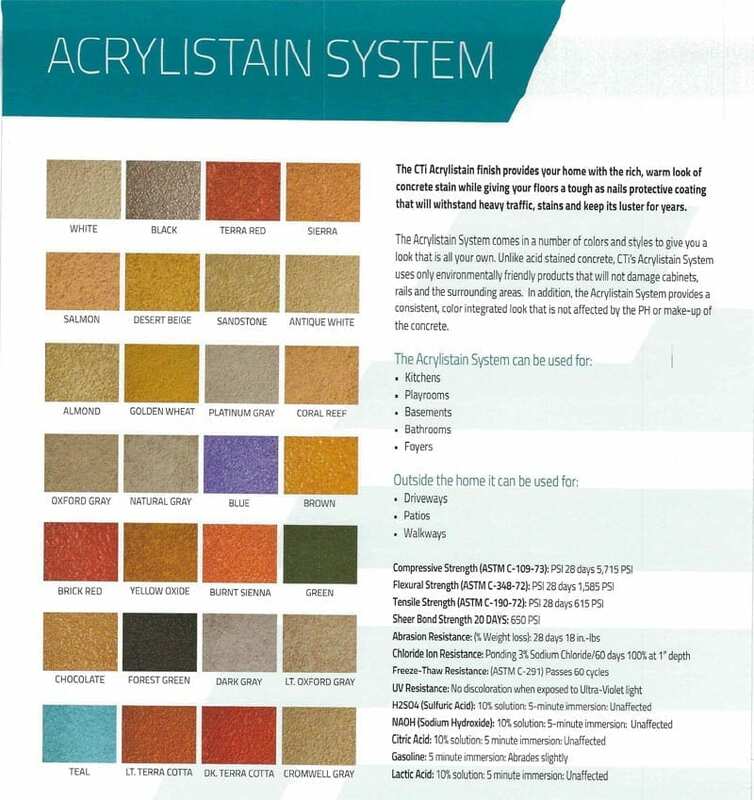 Unlike acid-stained concrete, CTi’s Acrylistain System uses only environmentally-friendly products that will not damage cabinets, rails, and the surrounding areas. 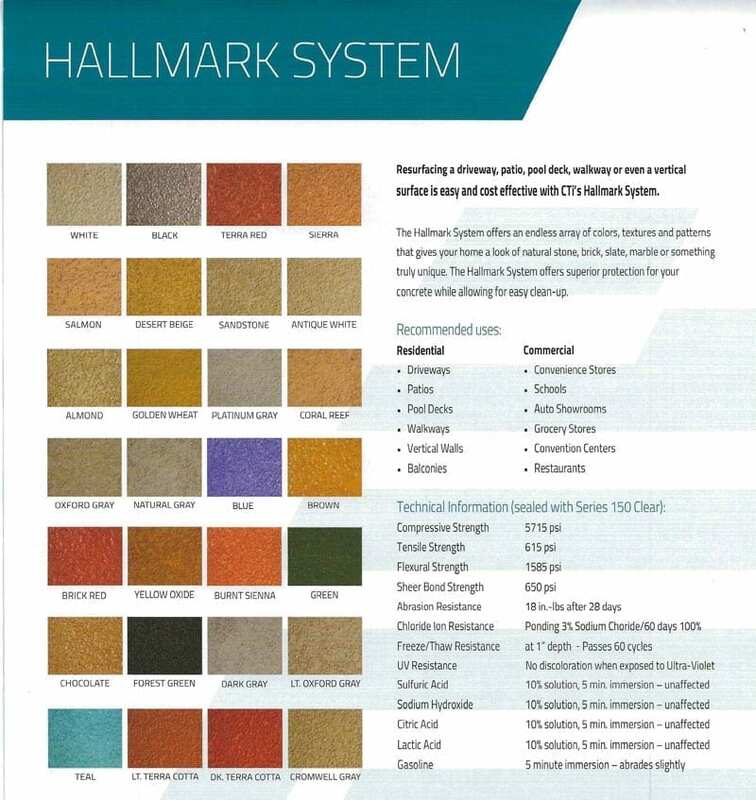 The Hallmark System offers an endless array of colors, textures, and patterns that give your home a look of natural stone, brick, slate, marble, or something truly unique. The Hallmark System offers superior protection for your concrete while allowing for easy clean-up. Stone Classic is a formulation of acrylics and resins that bond with concrete to create a tough surface that resists chipping and staining. 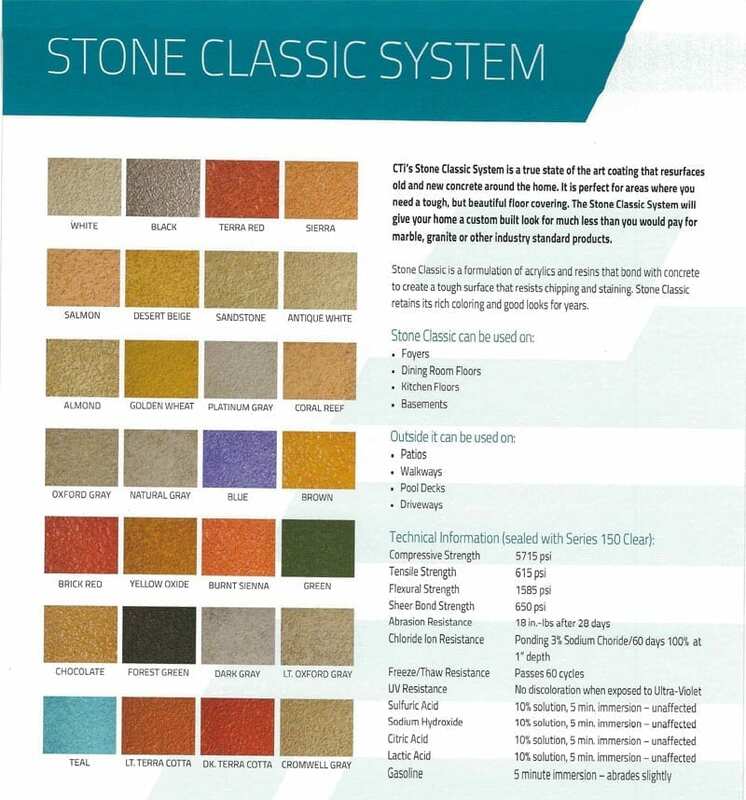 Stone Classic retains its rich coloring and good looks for years.